The hip is the body’s largest ball and socket joint. We use it for dancing, swimming, biking and especially running. It’s sturdy and versatile. But, like all things, it begins to wear with excessive use and age. The result? Acute hip pain. 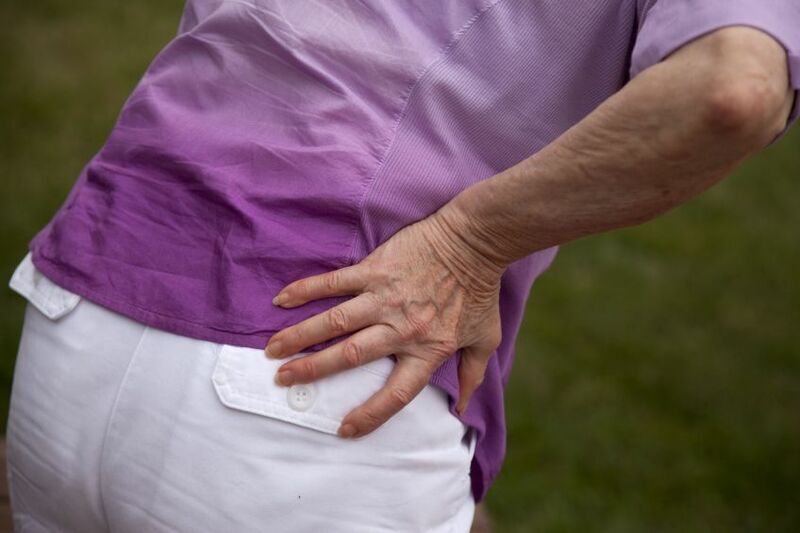 Acute hip pain can come from several causes. It’s most common in people age 65 or older, and even more common in women. However, younger people who are athletic may also be susceptible to certain types of hip pain from overuse. 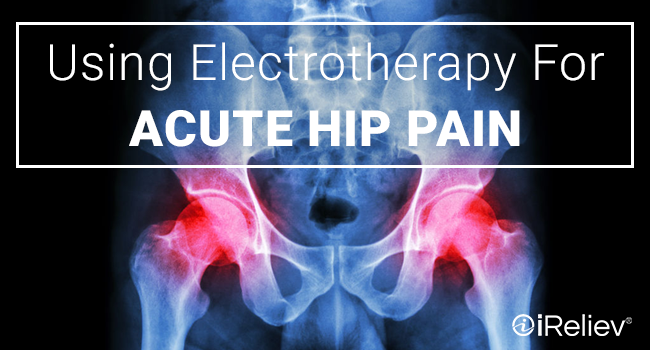 In many cases, electrotherapy can treat acute hip pain efficiently and regularly. Prescription painkillers or over-the-counter anti-inflammatories can have nasty side effects. It is not recommended to depend on these to relieve pain regularly. 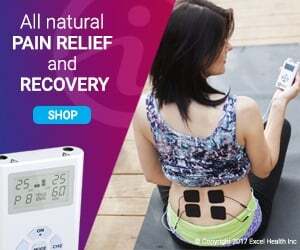 Electrotherapy such as TENS (transcutaneous electrical nerve stimulation) or EMS (electrical muscle stimulation) can take its place, and can be used as often as needed. Osteoarthritis occurs in joints as the cartilage wears down over time. This can lead to stiffness. It often occurs in the hands, fingers, knees and hips. It is one of the leading causes of acute hip pain. Osteoarthritis in the hips may be felt in the front of the thigh or in the groin area. While it may be painful to move, medical professionals recommend keeping a routine of gentle motion. In the long run, this helps combat the stiffness. TENS can help this task seem less daunting. 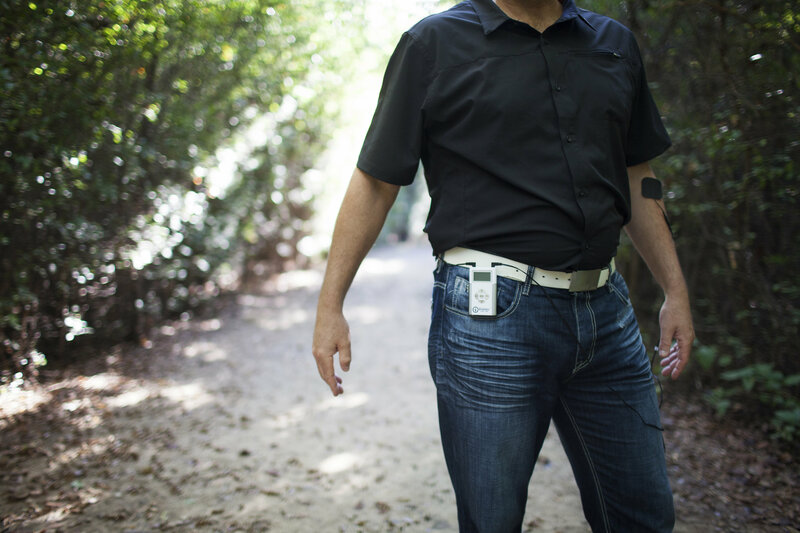 iReliev offers TENS + EMS devices that are so small and portable that they can be worn while in motion and throughout the day. TENS helps to relieve pain by blocking pain signals from traveling to the brain. In place of the pain, you will feel a pleasant tingling sensation. This is the sensation of gentle pulses that the TENS unit sends through the skin and to the nerve endings. By using TENS on your osteoarthritis, you can decrease pain while moving and without relying on anti-inflammatories. Hip pain might also stem from tendinitis or bursitis. The tendons connect the muscles to the joints. With overuse, they can become inflamed. 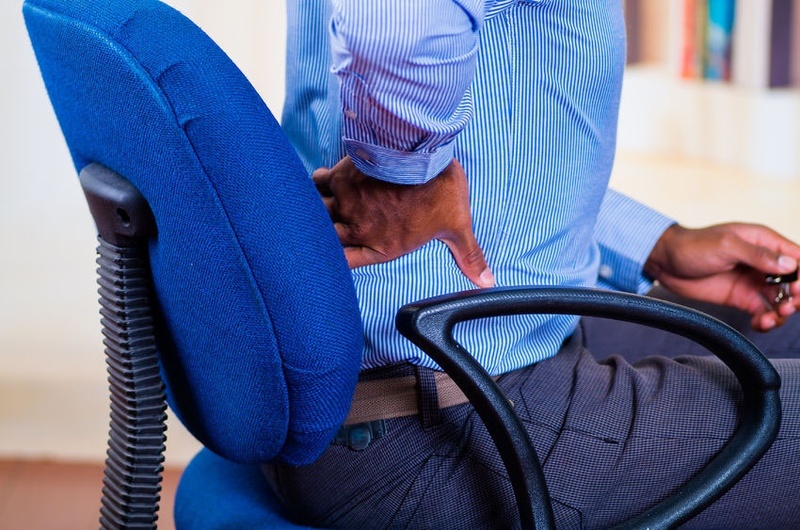 If you are suffering from tendinitis you will likely feel it when standing up from a seated position or walking up the stairs. Runners will notice it as a dull ache on the outside of the hip during or after a run. Icing the painful area will help. Using TENS will increase pain relief. Place electrode pads around the inflicted area and use daily or whenever needed. Runners are especially prone to bursitis. This is an inflammation of the bursas, which are sacs of fluid that cushion the tendons. Like tendinitis, bursitis can occur from overuse. Both tendinitis and bursitis should be treated with ice and rest and supplemented with TENS. EMS is especially useful in treating bursitis, as EMS treatment helps to increase blood flow to the area. Medical professionals have recommended that an increase in blood flow will help remedy bursitis. In all cases, using EMS on chronic hip pain is a great idea. EMS helps strengthen the muscles surrounding the joint. This additional strength will help with recovery and prevent further injury.